These are questions we've been asked many times, and they're here to answer your questions too. If there's anything more you'd like to know, we'd be delighted to help — just get in touch and we'll give you the best assistance we can. Is it illegal to have Japanese knotweed on your land? There are many laws surrounding knotweed, which can be confusing. Japanese knotweed is not a notifiable weed nor is it illegal to have it growing on your property as long you don’t allow it to spread onto adjoining land. If this happens, either a civil nuisance claim can be brought against you for allowing the knotweed to encroach onto private land, or you may be committing a criminal offence under the Wildlife and Countryside Act 1981 if you have caused Japanese knotweed to grow in the wild. What practical measures can I take to stop Japanese knotweed encroaching onto my land from my neighbours? Japanese knotweed is not fussy about where it grows, which is demonstrated in our gallery of knotweed pictures. It has an uncanny desire to grow along and across property boundaries, without any respect for boundaries. It spreads its invasive rhizomes and continues to encroach and wreak havoc until action is taken against it. The damage Japanese knotweed can cause should not be under-estimated, so if you notice Japanese knotweed encroaching onto your land, you should take immediate action. Notify the adjoining landowner of the problem, preferably in writing. A co-ordinated approach that tackles the Japanese knotweed on both pieces of land is much more likely to be successful than piecemeal attempts. Talk to us about a Treatment Plan and try and agree with the adjoining landowner the allocation of costs. We have a number of different Japanese knotweed removal methods we can use, to ensure that the knotweed is completely removed. If required, Guarantees can be issued to both properties once the work has been completed. If you can’t agree a way forward with the adjoining owner, (some are more receptive and motivated than others) then your options are to look for a Japanese knotweed control method, such as using herbicides and or vertical root barriers or to seek legal redress. What legal redress do I have if Japanese knotweed encroaches from adjoining land? The legal remedy for knotweed spreading onto your land from adjoining land can be found in civil nuisance. To bring a successful claim, the claimant needs to demonstrate that the knotweed originated from the adjoining land, and that the knotweed is causing the claimant owner "nuisance". It's not always easy to prove the knotweed origin, but an expert should be able to give an opinion based upon "the balance of probabilities", the test required in a civil case. A site survey should be able to identify this. If the adjoining landowner, the defendant, is seen to be taking reasonable steps to mitigate the nuisance that may in itself be a suitable defence, making any claim likely to fail. However, we often see steps being taken that are not reasonable e.g. long treatment programmes and restrictions on use of the garden/property whilst the lengthy treatment programme is carried out. If you think you are a victim of encroachment please talk to us. We can help you. One of our experts can provide Japanese knotweed expert witness services in accordance Civil Procedure Rules (CPR 35). We can also put you in touch with lawyers, highly experienced in Japanese knotweed disputes. What Japanese knotweed removal methods are available? Chemical treatment If the affected ground is not going to be disturbed (e.g. by construction or landscaping works) AND you have plenty of time (at least one growing season, possibly more) before you want to achieve removal then an in-situ herbicide method may be suited. If not, you need to consider a physical removal method. Herbicide treatment can result in eradication, although it is difficult and best left to a specialist in Japanese Knotweed eradication. The minimum time required is one growing season (typically May through to October) involving several applications of herbicide. This can either be applied by foliar spray, or in environmentally sensitive areas by stem injection. More often than not, the process takes three years to complete. There is always a risk that viable rhizome remains after herbicide treatment so if you are likely to disturb the soils in the area, and re-growth cannot be tolerated, then you should look at a physical removal method. Xtract™. Xtract™ is a method developed by Environet in 2008, with patents granted in the UK, USA and Canada. The process separates and removes viable rhizome from the soil, the offending rhizome is taken off site and destroyed, leaving the processed soil to be re-used on site. Xtract™ is a very quick process so should prevent delays to construction. It has minimal environmental impact, since no infested soil is sent to landfill and no herbicide is used. See more on Xtract™. Stockpile & treat (Bund method). Knotweed infested soil is excavated from construction critical areas and stockpiled in a location on site for subsequent herbicide treatment. It relies upon a large area of the site being available for knotweed treatment in a quarantine area for at least 12 months, in which time herbicide can be applied. The problem with this method is usually space, in that the soil should be spread out to a thickness of only 500mm to achieve eradication in 12 months, so seldom finds favour with developers. See more on our Stockpile & Treat method. On-site burial. On-site cell burial relies upon the containment of viable rhizome within a very large cell lined with root barrier on all sides, top and bottom. Cell burial for Japanese knotweed should be considered as a control rather than eradication strategy. We consider there to be better methods. See more on Cell Burial. Supervised Dig & Dump. Dig & Dump is recommended as the method of “last resort” by the Environment Agency. If this method is to be used it pays to have a specialist supervising the work to not only ensure that all legal requirements are met, but also that all, but only, Japanese knotweed infested soil is removed. Expert supervision can result in significantly reduced volumes, thereby saving cost. See more on our Supervised Dig & Dump. Resi-Dig-Out™ . For gardens, we have scaled down our Xtract™ process to create Resi-Dig-Out™. Knotweed infested soil is excavated and the viable rhizome is separated from the soil. The rhizome is removed from the property in accordance with Environmental Protection Act 1990 requirements and the excavated soil is back-filled into the hole. It can be completed in a matter of days, at any time of the year and is much cheaper than Dig & Dump. See more on Resi-Dig-Out™. Can I kill Japanese knotweed using household chemicals? Cutting the knotweed stems down and pouring household chemicals such as bleach, diesel, salt or even weed killer will not ultimately kill knotweed, even if all the above ground growth has gone. Firstly, by cutting the plants down, you are stopping the internal workings of the plant, meaning water and nutrients will not be circulating around the plant – and nor will the chemicals you have applied! DIY treatments often shock the knotweed into a state of dormancy – giving you the impression it is dead, but once ground conditions have improved again, or the ground is disturbed, more often than not, the knotweed will grow straight back. DIY treatment can also make it harder for knotweed removal experts to deal with an infestation, as it limits the options available. The other downside to DIY attempts is that they will not be supported by an insurance backed guarantee, so if you try to sell or remortgage the property, banks and building societies will be unlikely to lend. What can I do to ensure my property sells if it is affected by Japanese knotweed? A property with Japanese knotweed on the land can make for a difficult sale. Buyers would much prefer to buy a knotweed-free property because it is one less thing for them to worry about. This is where you as the seller need to make the most out of the situation, in order to make your property attractive to potential buyers. If you can provide the prospective with all the information they need, it will help to ensure that the knotweed issue isn't blown out of proportion. Environet can guide you through the whole process. We have helped hundreds of clients sell their properties. Here is our list of dos and don'ts. 1. Don't stick your head in the sand! Concealment or hoping that nobody will notice the knotweed is no way to go about pushing the sale of your house through. Firstly, RICS chartered surveyors are trained to spot knotweed, and are obliged to report its presence either on your property or within 7m of your boundary. Secondly, you are actually breaking the law. The Law Society's TA6 form has a specific question relating to Japanese knotweed and if answered untruthfully during the conveyancing process a legal claim of misrepresentation could be brought against you by the buyer down the line. 2. Do it the right way the first time. You should look to commission a reputable Japanese knotweed removal firm to remove the knotweed and provide suitable guarantees. Don't fall into the trap of applying home remedies to Japanese knotweed - any DIY attempts will not be supported by banks. These inappropriate treatments can actually induce rhizome dormancy and make any subsequent treatment more difficult and costly. This may make it harder to obtain an insurance backed guarantee, which will be required by any non-cash buyer. At Environet, we have Japanese knotweed removal methods suitable for all jobs, so don't panic if it is a small garden with no access for machinery. Once you have received the report, you will have all the information required to make a clear, knowledgeable decision on whether you want to engage a firm to remove the knotweed or reduce the price of your property and leave the buyer to deal with the issue. For a quick sale, this option is only practical for a cash buyer. 4. Choose the right method and secure the right guarantees. When you are selling your property, you need to consider the requirements of any potential purchaser. It is tempting to choose the cheapest option and hope for the best - after all, you will not see the benefit of the money spent as you won't own the property! But we think you'll agree that this is short sighted - after all, you don't want to find yourself unable to sell the property. Firstly you need to ensure that any work you instruct comes with a decent insurance backed guarantee that will be fully transferable to the new owner and accepted by all of the major lenders. Then you need to think about the method of removal. A buyer is likely to be less inclined to make you an offer if they can't use the garden for 3 years because of an ongoing treatment programme; but you may not have the funds to pay to have the knotweed fully excavated. Take the advice of experts in the industry, and don't be afraid to ask questions before you settle on a solution. You can then rest assured that the knotweed problem is resolved and potential buyers and lenders should find no reason to worry about the knotweed, allowing for a smooth sales transaction. I’m looking to buy a house infested with Japanese knotweed, what advice would you give? 1. Identify the scale of the problem. Look to have the knotweed identified by a professional as there are many plants that are often mistaken for Japanese knotweed. You can send us any pictures of the suspect plant, and we will identify it free of charge. Find out more about what is Japanese knotweed here. 2. Understand the liabilities that you'll be taking on. Make sure you understand the liabilities the knotweed presents, because it will be your responsibility as the new owner. Encroachment can be a big issue with knotweed, as knotweed does not respect boundaries when it grows. Has the knotweed encroached onto your land from another property, or did the knotweed originate on your land and spread outwards? If there is a case for encroachment, then the first discussion you have with your new neighbours may not be as friendly as you had hoped. 3. Think about potential damage. If the knotweed is growing close to the property, it may have caused damage to the building. This may not be immediately obvious, but knotweed can cause damage especially to underground elements such as drains. The extensive underground system can spread much further than what you see above ground. A site survey is recommended to ensure the full extent of knotweed is examined. This survey will also try to determine where the knotweed originated from, an important fact if you are facing an encroachment claim. 4. Consider your mortgage requirements. Perhaps most importantly you could have difficulties securing a mortgage on the property, purely as a result of the knotweed. Some lenders reject outright any property affected by knotweed. Others take a more pragmatic view and lend where the knotweed is being removed by a reputable firm and where appropriate knotweed insurance backed guarantees are provided. Speak to your mortgage provider to see what type of guarantee they require. Some ask for a 5 year guarantee and others ask for a 10 year. Make sure you understand what your mortgage provider requires before speaking with a knotweed removal company, as this will ensure you gain the correct level of coverage required. 5. Stay involved. Don’t fall into the trap of letting the seller “sort out” the knotweed problem. On too many occasions we see a cheap attempt at removal with inadequate guarantees. Insist it is carried out by a firm that you trust will do the job properly and will be accepted by your mortgage provider - otherwise walk away. If the work has been carried out already, ask to see all of the documentation available – and get it checked by a reputable professional. Environet was established in 1996 and the entire business is focused solely on the removal of Japanese knotweed. We have Japanese knotweed solutions suitable for both the commercial and residential sectors. We provide our unique market leading insurance backed guarantee underwritten at Lloyd’s – you won’t find any better security than that. Let us worry about removing the Japanese knotweed, and you just focus on making your new house your home. Once these steps have completed, the purchase can go through without the knotweed being a limiting factor. Give us a call today on 01932 868 700 to discuss your options. Do lenders only accept work and guarantees from PCA members? Many news articles in the media state that mortgage lenders will only accept work completed by a PCA member. This is not the case, as there are many reputable and capable companies who are not members of the PCA but do offer insurance backed guarantees. Environet is a PCA member, and we have the added benefit of our guarantees being underwritten at Lloyd’s, an A-rated insurer. Is it true that Japanese knotweed can make it difficult to sell your house? It is true, many sales have fallen through as a result of Japanese knotweed and lending policies. This being said, Japanese knotweed should not prevent a house sale being completed, it just adds a few steps in the process. Once the knotweed is controlled, with a suitable insurance backed guarantee, mortgage providers and others will lend. See our section on buying and selling property affected by Japanese knotweed for more information. Can Japanese knotweed destroy boundary walls? In the height of summer, Japanese knotweed can cause a fence or wall to lean and ultimately fall. Does Japanese knotweed damage buildings? Yes, damage can be caused to buildings by Japanese knotweed, particularly where the knotweed has been left to establish itself over many years. However, the extent is often overstated, and some of the horror stories you may read in the press or on the internet are there to sensationalise and scare you! We have seen cases of knotweed causing damp problems, and have even experienced stems and healthy leaves emanating through vents and air bricks located 2m above ground level. When knotweed grows in cavity walls it has the capacity to force the two skins of the wall apart. Does Japanese knotweed damage underground services? Yes. Underground sewers, drains and land-drains are particularly susceptible to Japanese knotweed. The knotweed rhizome will find its way into the smallest hole on a pipe joint to find water. The rhizome will continue to grow gradually blocking the drain and finally breaking it apart. We also have anecdotal evidence of Japanese knotweed being spread down surface water drains. Pieces of rhizome break off the parent plant and are conveyed down the pipe, infesting the watercourse with Japanese knotweed at the point of discharge. Does Japanese knotweed damage hard surfaces such as asphalt? Yes, the most common form of property damage from Japanese knotweed is caused by laying a hard surface such as asphalt, patio slabs, driveway block paving etc. over Japanese knotweed infested ground. The knotweed will have no difficulty forcing its way through any weakness in the formation in its unstoppable quest for light. The general rule of thumb is that if water can go down through the cracks, then knotweed can grow up through it. No, this is a very common misconception. There are many recorded incidents of knotweed "growing through concrete", however what actually happens is that the knotweed finds a weak spot (e.g. a crack in the concrete, or an expansion joint) and grows through it, gradually prizing it apart. Knotweed will find the route of least resistance to get water and light. It gives the appearance of growing through concrete when it in fact has simply exploited the weaknesses. The general rule of thumb is that if water can penetrate it, so can knotweed. Japanese knotweed is relatively easy to identify, once you know what the characteristics are. Visit our Identification Page and watch our 3 minute video on How to identify Japanese knotweed. We've also produced a Japanese knotweed Identification Guide, which you can download to help you identify the plant in situ. If you are still unsure, we offer a Japanese knotweed identification service. Email your photos to expert@environetuk.com and we'll tell you if Japanese knotweed is present. This is a free service. However, if you would like to make a small donation to one of our chosen charities via JustGiving that would be much appreciated. Is there more than one type of knotweed? There are different varieties of Japanese knotweed, notably Giant knotweed, which has larger leaves and generally taller plants. It is not as invasive as Japanese knotweed, but has the same legal status and treatment methods. There is also Bohemian knotweed (a hybrid of Japanese and Giant knotweed) and Japanese knotweed var. compacta – a smaller, less widespread variety. Take a look at our knotweed gallery to see what they look like. Where did knotweed come from? Like so many of our garden plants, Japanese knotweed was imported as a specimen from overseas in the 1820’s. Philipp Franz von Siebold returned from Japan with many of our garden staples such as wisterias, hostas, peonies and hydrangeas. Unfortunately, Japanese knotweed was also in the collection. The plants were distributed and sold by nurserymen across the country, and were very popular, especially given it had been awarded a gold medal by the Agricultural and Horticultural Society in Utrecht. It was also noted for commercial and industrial applications, notably stabilisation of sand dunes and railway embankments. By the early 1900s, reports were starting to come in of it being spotted outside of gardens in the wild. Comments were also circulating about its dominance and vigour in domestic settings. The plants quickly fell out of favour, however by that time it was too late. Japanese knotweed was now widely distributed, and during the 20th century spread across the entire country. In fact, we now believe that there is not a single 10 square kilometre patch in the UK where knotweed cannot be found. What action can be taken against an adjoining owner who allows their Japanese knotweed to spread? Encroachment is the spread of Japanese knotweed rhizomes (roots) across property boundaries. If you have exhausted all friendly attempts then you can threaten legal action. This should not, however, be the first step. Call us on 01932 868 700 today. Japanese knotweed (Fallopia japonica) is the UK’s most invasive, aggressive non-native plant. As its name suggests it originates from Japan, having evolved on the sides of volcanoes around 125 million years ago. A vigorous perennial, it grows rapidly, with new shoots appearing in spring and growing to approximately 3m high by June. It has pretty white flowers in the summer. In autumn the above-ground part of the plant dies back, leaving brittle canes left standing over the winter period. More vigorous stems will appear the following year, gradually spreading to larger areas. Underground, the plants are supported by a crown that develops in mature plants, and an extensive rhizome and root system. The rhizome network can penetrate deep into the ground, and often a few meters in all directions laterally. This is one of the reasons that Japanese knotweed is so troublesome, as new plants are easily created from very small pieces of the rhizome. All plants in the UK are female, so thankfully, unlike other invasive plants such as Himalayan balsam or Giant hogweed, the seeds in the flower are not pollinated. All new outbreaks of knotweed result from fragments of viable rhizome that may be spread within soils being moved from site to site, by fly-tipping, by natural processes such as river bank erosion, or by animal movement. How can I be sure that I have knotweed? That’s easy – just email us your pictures! Environet offer a free, same day identification service. Just send us some close up pictures to expert@environetuk.com. Once we’ve checked the pictures, we can talk you through the next steps. Japanese knotweed can cause damage to buildings, underground services and landscaped surface. The severity of this damage is sometimes somewhat overstated, although there are many recorded incidents where Japanese knotweed has indeed caused damage. Watch our damage video to see some examples of what knotweed can do. MD, Nic Seal has also written an interesting blog that you can read See more on our here. Is it true that banks and mortgage lenders refuse lending on property infested with Japanese knotweed? Yes, if the knotweed is not being treated by a specialist company. However with the right treatment and insurance backed guarantee most banks and buildings societies will lend. Mortgage lenders including the building societies and high street banks refuse to lend money in the form of a mortgage where their surveyor identifies the presence of Japanese knotweed on the property. Refusal has also resulted where no Japanese knotweed is present on the site, but is on adjoining land. Surveyors employed by the banks are instructed to look out for Japanese knotweed. Banks refuse mortgages because the plant can cause significant property damage, and can devalue the property due to the risk level this poses. This affects the loan to value ratio and reduces the value of the security held by the bank. Lending money on a property with untreated knotweed is just a risk the banks are not willing to take. The good news is that we do have several residential solutions with an Insurance Backed Guarantee (IBG) underwritten by Syndicate 4444 (Canopius) at Lloyd's that satisfies most lenders. Our Japanese knotweed removal methods range from herbicide treatment programmes using foliar spray, or in some cases stem injection, to physical removal methods such as Resi-Dig-Out™. For much larger areas our commercial Xtract™ or Dig & Dump solutions may be appropriate. Our work is offered with an insurance backed guarantee, which provides security for the lenders and yourself as the homeowner. If regrowth is experienced during the time of the guarantee, we will treat this at no extra cost. If you would like more information on how we can help you ensure your mortgage goes through, please contact us on 01932 868 700 or complete our form and we will be in touch shortly. What is the law relating to Japanese knotweed? There are several pieces of criminal and civil legislation relating to Japanese knotweed. There are criminal sanctions under the Wildlife and Countryside Act 1981 under which it is an offence to cause or allow Japanese knotweed to grow in the wild. Environmental Protection Act 1990 includes provisions including a “duty of care” for the storage, processing, treating and disposal of controlled waste. Japanese knotweed and the soils it infests are considered to be a controlled waste. There are powers under the Town & Country Planning Act section 215 for Local Authorities to force landowners to clear up land if it detracts from local amenities, including that infested by Japanese knotweed. The Town & Country Planning Act is also often used by Local Planning Authorities by way of planning conditions to force developers to remediate sites infested with knotweed. Part 4 of the Act introduced Community Protection Notices and Remedial Orders. The community protection notice can be used against individuals who are acting unreasonably and who persistently or continually act in a way that has a detrimental effect on the quality of life of those in the locality. The Anti-social Behaviour, Crime and Policing Act 2014 does not explicitly refer to Japanese knotweed or other, similar invasive non-native plants, as the new anti-social behaviour powers are intended to be flexible. However, frontline professionals can stop or prevent any behaviour that meets the legal test in the powers. The notice can be used to require someone to control or prevent the growth of Japanese knotweed or other plants that are capable of causing serious problems to communities. The test is that the conduct of the individual or body is having a detrimental effect of a persistent or continuing nature on the quality of life of those in the locality, and that the conduct is unreasonable. Under section 57 of the Act, “conduct” includes “a failure to act”. The Infrastructure Act 2015 gives environmental authorities in England and Wales the power to issue species control orders. These orders will make it possible to compel land owners or occupiers to carry out control or eradication operations, or allow them to be carried out by the issuing authority. Breaching a species control order will be a criminal offence, but owners or occupiers will have the right to appeal to a tribunal and, where relevant, may be compensated for any damage caused by the eradication work. The presence of Japanese knotweed can have legal implications and consequences for neighbours, landlords, tenants, buyers and sellers of land and houses. In the case of Japanese knotweed spreading from one owner’s land to a neighbour’s land the landowner could face a legal claim by the neighbour. This is because under the common law of nuisance a landowner must take reasonable steps to prevent a nuisance which may cause damage spreading from his land to neighbouring land. Generally liability will only arise after the owner has been made aware or should have reasonably been aware of the problem. However, there is a legal argument which could be made to suggest that where the Japanese knotweed has been brought on to the land by the landowner and spreads to the neighbouring land he has a strict liability to his neighbour irrespective of whether the steps he has taken to prevent it from spreading have been reasonable or not. In either case, the claim is likely to be for damages for the cost of eradicating it from the neighbouring land and/or an injunction forcing the landowner to take steps in regard to its treatment. In February 2016, in the landmark case Waistell vs, Network Rail - Recorder Grubb found that Mr Waistell had successfully made out his claim in private nuisance against Network Rail. It was found that not only had Mr Waistell’s property suffered from encroachment, but also that the mere presence of knotweed on Network Rail’s land was an actionable interference with the use and enjoyment of Mr Waistell’s land. As a result, Mr Waistell was awarded damages for the cost of treatment and the residual diminution in value of his property after the treatment had been carried out. The case is significant as it holds big landowners to account and imposes a positive duty on them to ensure that any knotweed that is on their property is not preventing neighbouring landowners from being able to sell their property for market value. Failing to comply with this obligation will result in awards for damage for the cost of treatment of the knotweed and any residual diminution of value. In the case of landlords and tenants, depending on the wording of the lease and also whether the Japanese knotweed was present when the lease was entered into, a tenant may find himself unwittingly liable to his landlord under the terms of his lease to have any Japanese knotweed on the demised property treated or removed. 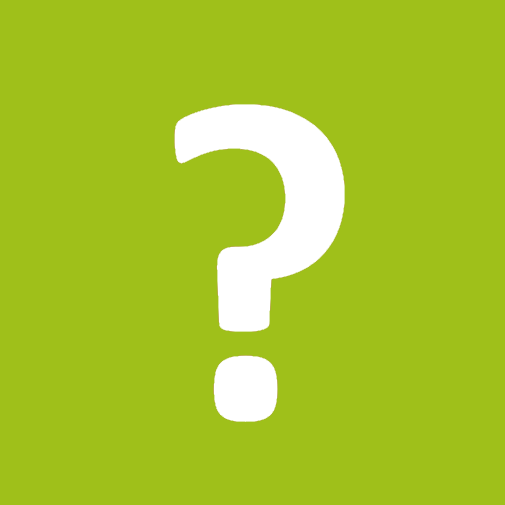 If the seller ticks either ‘No’ or ‘Not known’ to this question but they did in fact know of the presence of knotweed on the property then it is likely that they have committed a fraudulent misrepresentation. If they ought to have known about the presence of the knotweed or ticked ‘No’ and had no reasonable grounds for believing that the property was not affected by knotweed then it is likely that they have committed a negligent misrepresentation. An example of negligent misrepresentation would be where the seller knew a plant was growing in the garden but took no steps to seek to identify it prior to completing the TA6. We have written extensively about misrepresentation in our blogs. To read more, click here. What are the best methods for removing Japanese knotweed? There is no such thing as a one size fits all. The best method for your site will depend upon your timeframes, site constraints, overall objective and budget. We have various Japanese knotweed removal methods available, and our team of experts will be able to recommend the most appropriate option for your circumstances. In most circumstances, especially on development sites and in most gardens, complete knotweed removal should be the objective. Where this is an unattainable goal e.g. knotweed along a watercourse originating from knotweed upstream, a control programme may be a more realistic option. What are the issues to consider when developing a site with Japanese knotweed? There are legal, technical and financial issues that must be addressed. Japanese knotweed is simply one of things in life that should not be brushed under the carpet with a botched attempt at removal, unless of course you want to incur delays and major expense at a later stage. While it may seem like a large task to remove Japanese knotweed, you are better off sorting the problem out at the beginning, before any works start. We have a number of Japanese knotweed removal methods that can be used to ensure complete removal. Many attempts at "controlling" Japanese knotweed are counterproductive. They kill off some of the plant, leaving the majority of the rhizome system below ground in a state of temporary dormancy, ready to resurface when you least expect it. There may be no obvious evidence of the knotweed above ground, but you can be pretty sure that viable rhizome remains. This is what we see in a lot of DIY attempts. The plant looks dead, but it is in fact dormant. Imagine a development site where viable knotweed rhizome remains hidden in the ground, possibly to a depth of 2m or more, having laterally spread into areas you might think are unaffected. Once you disturb these soils whether by ignorance, accident or intentionally, you would almost certainly fragment and spread the knotweed rhizomes to other areas of your site. This would significantly increase the scale of the problem, and hence the cost of remediation. All too frequently we are called in to help with removing Japanese knotweed, because other less experienced operators have failed to completely kill off the knotweed. Make sure you understand the law before tackling Japanese knotweed. If you caused the knotweed to be spread off-site, you could find yourself at the wrong end of criminal proceedings under either the Wildlife and Countryside Act 1981, or the Environmental Protection Act 1990 "duty of care". Offences under these Acts can result in custodial sentences. If you consign knotweed infested soils off site other than strictly in accordance with these legislative requirements, whether intentionally or not, you will run the risk of prosecution. Botched attempts at treatment or removal make it considerably more difficult for professionals to completely remove the knotweed for you. Trying to find and remove every piece of viable rhizome is akin, albeit with a difference, to finding and removing all fragments of asbestos that may or may not be in the ground. The big difference being that asbestos does not grow, so usually stays buried out of sight, whereas viable Japanese knotweed rhizomes are living and will grow to the surface, pretty much irrespective of what is put in its way. Imagine it growing through your asphalt driveways/roads just as you are nearing completion of the build – it would have pretty dire consequences on the saleability of the property and in many cases financing. Where knotweed exists, either within the curtilage of a property or on adjoining land, virtually all UK banks and building societies will refuse lending until it is removed and Insurance Backed Guarantees (IBGs) "from a reputable company" are in place. We know because we receive up to 20 calls a day from distressed vendors of properties who have usually just lost a buyer due to funding being refused. Please don't think that funding will never be granted - once an insurance backed guarantee is in place, the lending should be granted. Not surprisingly, the financial consequences can be pretty steep. It is not just the cost of remediation you should consider. Many main contractors/developers will be reluctant to take on the risk associated with a site infested with Japanese knotweed. Those prepared to take the risk inevitably price the risk, which of course gets reflected in the purchase/tender price. If the risk remains with the client and knotweed is subsequently found, then additional costs during the construction stage are almost inevitable to cover professional fees, considerable management time, additional site precautions and delays to the contract, plus of course the cost of remediation. The cost of remediation in these circumstances escalates due to the urgency, as the more cost-effective alternatives to dig & dump may not be available. Removing the problem prior to letting the main contract is the best solution all round. Is there any tax relief available for sites infested with Japanese knotweed? It’s possible that your company will be eligible for Land Remediation Tax Relief. Land Remediation Tax Relief, known as LRTR, was introduced under the Finance Act 2001 for all companies involved in the remediation of contaminated land, whether for commercial or residential purposes. For corporate bodies LRTR is available at 50% for developers (i.e. those trading in property), whilst property investors or owner occupiers can benefit from 150% relief against their qualifying expenditure. If you are not a corporate body the tax relief is not available. The legislation currently permits any expenditure that prevents, minimises, remedies or mitigates the risk of any harm being done to people, property or the wider environment. The harm, or potential to cause harm, must be as a result of a substance or substances in, on or under the land to be applicable. “Substances” include for example heavy metals, hydrocarbon contamination and, arguably Japanese knotweed. Environet works with specialist Tax Consultants to claim the tax that is rightfully yours on a no win no fee basis for all Japanese knotweed remediation undertaken since May 2001. Landfill Tax is now charged generally at the standard (higher) Landfill Tax rate for disposal of contaminated soils following the removal of the exemption in 2008, significantly increasing the cost of the Dig & Dump solution. Environet have various Japanese knotweed removal methods, such as Xtract™. This provides on-site remediation of land infested with Japanese knotweed that not only avoids the punitive costs of Landfill Tax but is also eligible for relief under LRTR. Contact us today on 01932 868 700 for further information. What is important to look for in a knotweed contractor? Whether you're clearing a site for development, trying to buy or sell a property or just keen to rid your garden of Japanese knotweed, choosing the right contractor for the job is an important first step. 1. Use a real specialist There are plenty of general groundsmen, landscape gardeners and weed controllers who also tackle Japanese knotweed, but there is no plant that behaves quite like Japanese knotweed, and it deserves a great deal of understanding and professional expertise. If they can't answer all your questions about Japanese knotweed, then steer clear. 2. Check technical expertise A dedicated specialist will be able to demonstrate a high level of technical expertise in the eradication and control options available to deal with your knotweed problem. Lots of people talk about controlling it: fewer promise to eradicate it. Make sure you ask them to cover the pros and cons of all available treatment options with you. They should either do this on the phone or at a site consultation visit. 3. Do some background financial checks A company that’s been in business for a long time is probably doing a good job and is financially stable. As any herbicide programme should have a detailed post treatment management plan and a guarantee, you will want to know they’ll still be around to follow up next season to deal with any minor regrowth. 4. Check out credentials and reputation If you can, make time to follow up references and seek referrals. A good contractor will happily share this information with you. Some contractors will have accreditations, but at the end of the day, it’s their extensive hands-on experience and high volumes of successfully completed jobs that really counts. 5. Request a written estimate Any contractor who does not provide you with a written estimate should be crossed off your list immediately. 6. Compare estimates If you decide to get more than one estimate, compare them carefully. Remember the lowest bidder is not always the best. 7. Know what's involved A reputable specialist won’t start work without your written instruction to do so. The paperwork should clearly spell out all the steps the contractor will take from beginning to end of your job, what treatment methods are included, the payment schedule and the time line for the project. 8. Make sure the work is guaranteed with an insurance backed guarantee (IBG) Guarantees typically range from 5 to 10 years and you need to be assured that these are worth the paper they are written on (see 3 above). Read the small print and know where the liabilities lie. Be aware that a lot of knotweed companies will downplay this element or offer alternatives without the same level of financial security. Also consider the security of the insurer where an IBG is provided. We are one of very few companies in the UK providing an IBG backed by an "A" rated insurer at Lloyd's. 9. "Consider the lilies!" If you are concerned about the environmental impact of the removal method, killing other plants etc - question the environmental credentials of the contractor. Understanding the wider impacts of dealing with this invasive species is all part of the job for a true expert. 10. Choose to work with someone you like and trust After all, it’s your property they’ll be working on and you want them to leave the site clean and tidy afterwards. You need to be reassured that they’ll continue to monitor the site after the initial treatment and will deal swiftly with any regrowth should it occur. If you don't choose the right contractor, you could end up disappointed in the work, feeling swindled and needing someone else to finish the job properly when the knotweed pokes its new shoots up again next year. If you would like to talk to one of our experts about our Japanese knotweed removal techniques, please call us on 01932 868 700.